Access control is a great way to keep your property secure. Whether you are searching for the right security fencing solutions for your residential property or commercial property, access control may be the right choice to keep your property safe. Not only can access control for your security fence still be an attractive asset to your property, it can also offer you an unparalleled peace of mind. If you are fencing a high security area, obviously, keeping the area is secure is the highest priority. Places that are at a high risk of someone attempting to gain access should consider installing a crash rated lift gate as part of their access control. Hercules Fence Northern Virginia can provide you crash rated gate systems that work with multiple different fencing materials and are appropriate for the level of security you need. Crash rated gates are designed specifically to protect your property from invaders that are using speed, weight, and force to attempt to enter your property. Keypads are an excellent way to increase the usefulness of your security fence and ensure that only the people you want to access your property are doing so. Keypads can be programmed with pin codes to approve or deny access based on countless options (time of day, etc.). Keypads are a great way to provide access to specific individuals and see who was entering or leaving your property at a certain time or a certain day. Your custom keypad can be used as part of a stand-alone system or as part of your entire home or business security package. 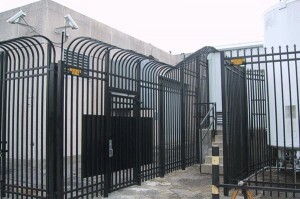 Searching for a reliable security gate for your home or commercial property? Swing gate operators can be discreet and reliable (and offer you many more features than you might think!). Swing gate operators are used to open and close a gate, like at the end of your driveway. 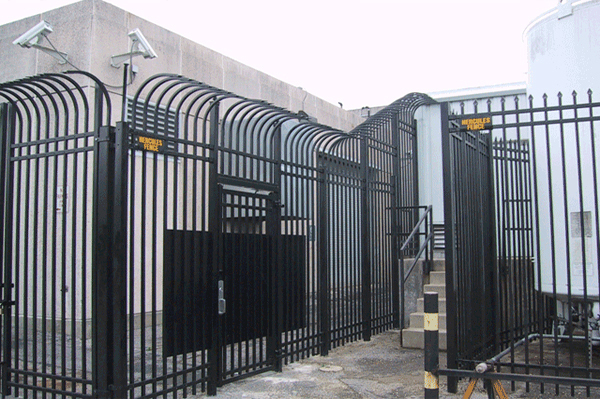 These gates can be programmed to open or close with a manual device or with a wireless transmitter. This entry was posted on Friday, August 5th, 2016 at 8:57 pm. Both comments and pings are currently closed.